Harley’s first crack at electronic fuel Injection (FF1) didn’t go over very well. It wasn’t all their fault though, riders and shops tried to hop-up those FF1- equipped bikes without fully understanding how the system worked and what was needed to adapt it to a motor built for higher performance. 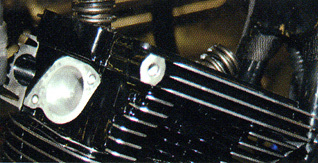 Harley’s early FF1 system was an option on 1995-2001 touring models. The system was designed and made by Magneti-Marelli, the parent company of Weber carburetors. One of Its discerning features was a dual-runner throttle body. When those FF1-equipped bikes first appeared, everybody looked at that new throttle body and thought, this is really cool; with separate 38mm butterflies and tuned runners for each cylinder it should make big horsepower. But should and did were two different things; what they didn’t see were the sharp bends where the runners connected to the ports and the almost impossible-to-program fuel injection control module. Anyway, as far as hopping up a motor, the system was a flop; more than a few riders’ laid-out big bucks to have their bikes turned into uncontrollable beasts. 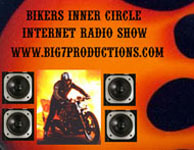 This lack of performance from the Magneti-Marelli equipped bikes gave dual-runner throttle bodies a bad name, The Harley factory hammered the idea home that the design was flawed when they came out with their second generation FF1 on the 2001 Softail models. 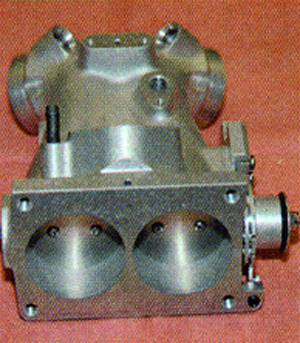 This new FF1 system, designed and made by Delphi Corporation, was built around a single-runner throttle body that used a 46mm butterfly. As incriminating as all of this appears, separate-runner throttle bodies are the gold standard for high-performance FF1 motors; they just need to be designed as such. 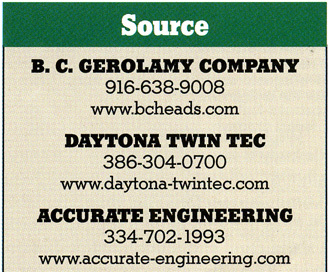 Enter B. C. Gerolamy Company; they have been at the forefront of FF1 development for over 15 years. They were one of the few companies to successfully hop up the Magnetl-MareIli systems. They have used all of their past experience in developing high-performance dual-runner throttle bodies for Harley’s second generation Delphi FF1 equipped bikes. The new Gerolamy dual-runner throttle body is a one-piece casting. It features smooth, tapered runners that each has a 50mm butterfly. 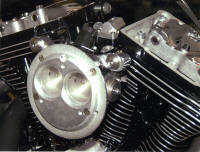 The throttle body mounts the sensors, fuel rail and throttle cables from the stock Harley throttle body. 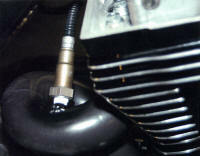 The only non-stock component is the air filter back plate, which also incorporates the cylinder head breathers. 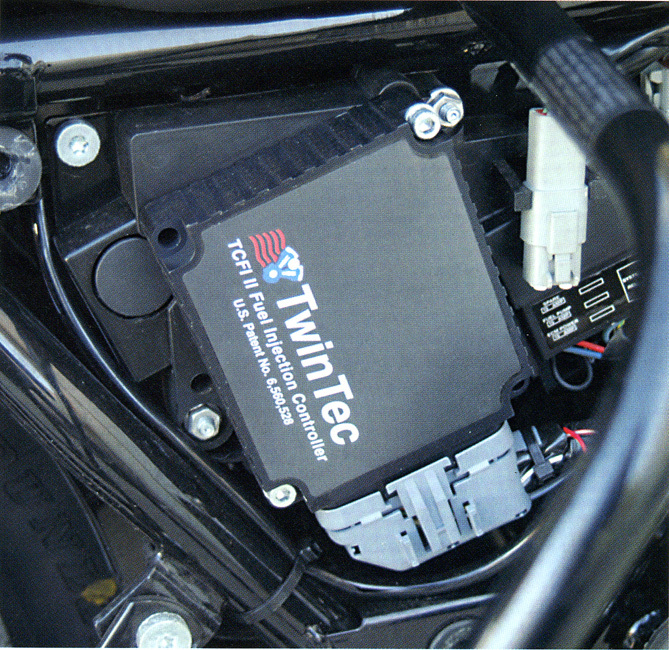 To control the motor’s fuel supply and ignition timing, they have worked very closely with Daytona Twin Tec during development of a closed-loop BET control computer, ECM. The mating of these two products resulted in EFI equipped Twin Cam bikes pumping out high-performance power while being very good rides on the street. The Daytona Twin Tec ECM replaces the bike’s original equipment ECM. It uses an alpha-N (throttle position and RPM-based) fuel control program similar to that used on automotive racing systems. It includes an oxygen sensor for ECM based monitoring and adjusting during actual riding conditions. 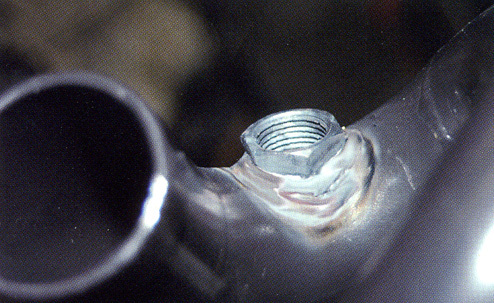 A bung must be welded into the exhaust pipe to accommodate the oxygen sensor. It is fully programmable and covers the ignition and fuel systems including advance curves, air-fuel mixture; idle air control, idle RPM and cold start settings. 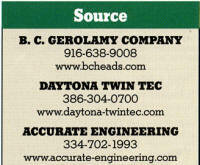 Its PC Windows-compatible software allows you to use a laptop for data analysis and programming. The Twin Tec software lets you setup the ECM for engine size, injector size, RPM redline, idle position, timing and air fuel ratio. Over and above the initial setup, there are four areas that can be edited: ignition advance, air/fuel ratio, fuel table and frost cylinder fuel offset. To find out just how well the parts worked, we followed along as Accurate Engineering, in Dothan, Alabama, built a hot 95-Inch Electra Glide Standard. 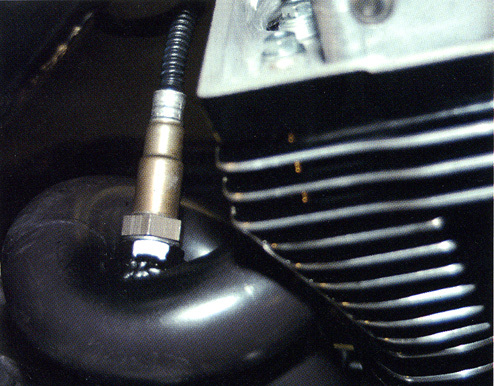 Along with the Gerolamy throttle body and Daytona Twin Tec ECM, they fitted the motor with big-bore KB pistons, Andrews cams and had the heads reworked by B. C. Gerolamy. The mechanical part of the build-up was pretty straightforward; dialing in the fuel injection required a new tool, a lap top computer. The laptop and Daytona Twin Tec ECM with its oxygen sensor took the place of a chassis Dyno. 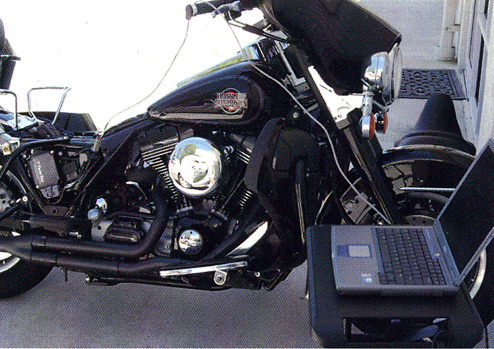 After the motor was broken in, the bike was sent out for a 15-minute ride, and when the rider returned the EFI information was downloaded to the laptop. 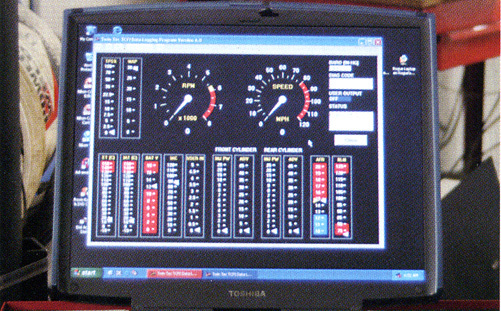 This data was then used to fine-tune the motor’s EFI system. After a couple of rides and adjustments the bike ran like gangbusters without so much as a cough or snort. Docile In traffic, it’s a hell raiser when the throttle is cranked open. 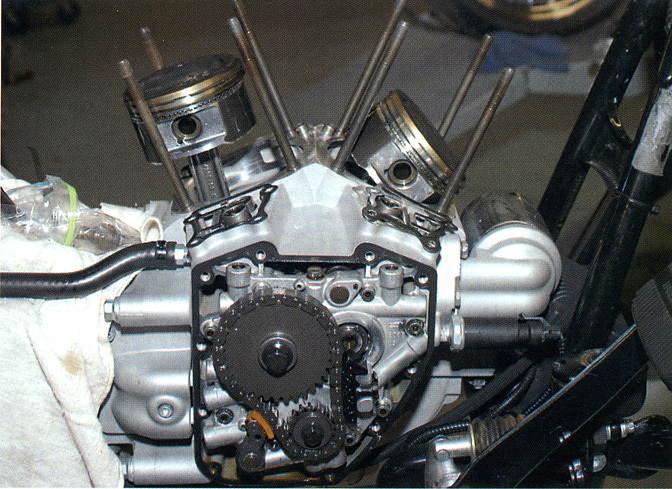 The motor’s performance up-grades Included a sat of Andrews TW-60G gear driven cams and KB high compression pistons. Complemented the motor’s breathing capacity. They now have 1.90-inch Intake and 1.57-Inch exhaust valves operating in CNC matched ports. The dual-runner throttle body has a large diameter air filter back plate with blended air inlets for the two throttle bores. The back plate not only Includes the cylinder head breather passages, but also acts as the outboard mount for the throttle body. 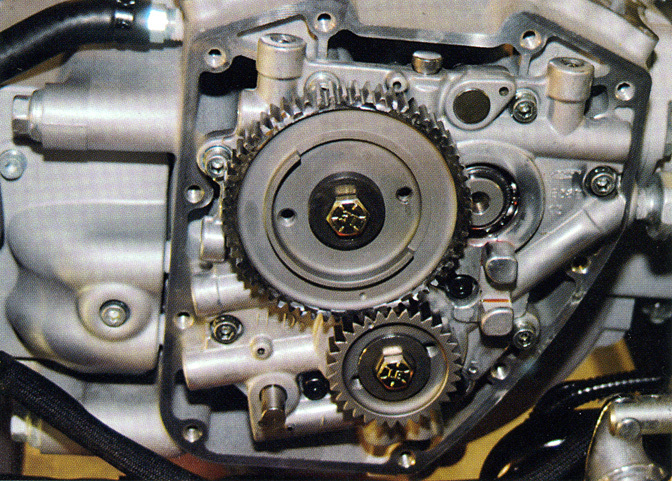 The Daytona Twin Tec ECM mounts in place of the stock fuel Injection controller. It hooks directly into the factory wire harness. There are two modifications that are made to the harness for the oxygen sensor. Bungs for the oxygen sensors were welded into each pipe. A laptop is connected to the ECM for basic setup. Once this is accomplished, the Daytona Twin Tec ECM relies on the oxygen sensor to keep the system adjusted for correct timing and air fuel operation. The oxygen sensor “reads” the spent gases as they come out of the combustion chamber. It can tell if the motor is running rich or lean: It then feeds this information back to the ECM. The ECM uses the data from the oxygen sensor In adjusting the amount of fuel that it injects into the air stream that is passing through the throttle body into the intake port.